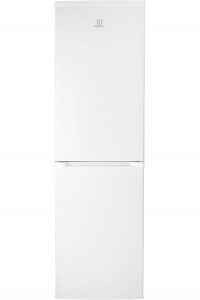 With an upright combi design and spacious interior, this Indesit fridge freezer is ideal for any household. The BCTAA55NF has lots of handy features, including an array of storage drawers and a frost-free freezer. On top, the fridge has 178 litres of usable space. There are three shelves, designed to accommodate all shapes and sizes, and a generous salad drawer to keep your salad crisp for longer. Three additional door racks will securely store your bottles and jars upright. The freezer is also conveniently divided up. Four blue drawers have a nett capacity of 81 litres – plenty for most households’ needs. There’s also an ice tray, for a refreshing drink at any time. The BCTAA55NF’s freezer has a special frost free cooling system. There won’t be any ice build-up so there’s no need to spend time manually defrosting it, and more space for your foods. This also keeps it working more efficiently. This is a four star freezer, offering the most flexibility with how you use it. It’s cold enough to freeze items from fresh, and store foods for up to 12 months. Reducing food waste has never been so convenient. As a slimline two-in-one it’ll fit into your kitchen with ease. 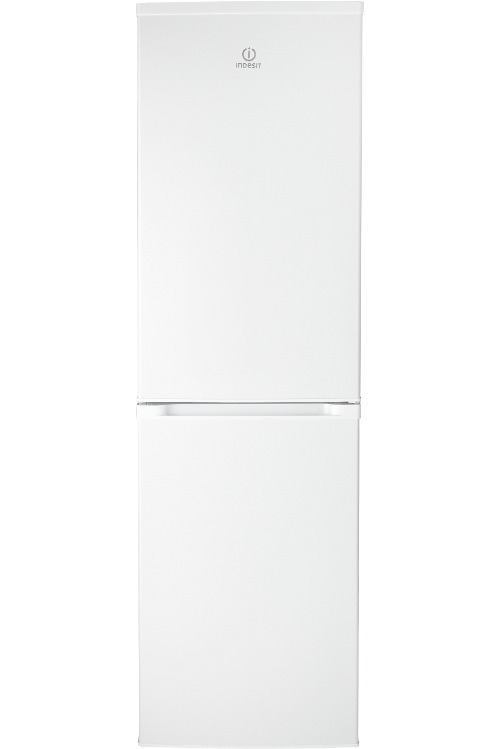 This fridge freezer is full height, yet just 55cm wide. This means it’s perfect for fitting in alongside your units, or standing independently in the corner of the room. Its white finish will blend in perfectly. Indesit have been awarded an A+ rating for this appliance. Its low running costs will save you money on your electricity bills. The BCTAA55NF even comes with a five year parts and one year labour guarantee. Rest assured the quality design is built to last.